Have you ever wondered what it would be like to listen to a terrible karaoke metal album, but of all original material and being performed by the band that the songs belong to? Well, your weirdest metal dreams are about to come true, because that is exactly how the subject of this review sounds. 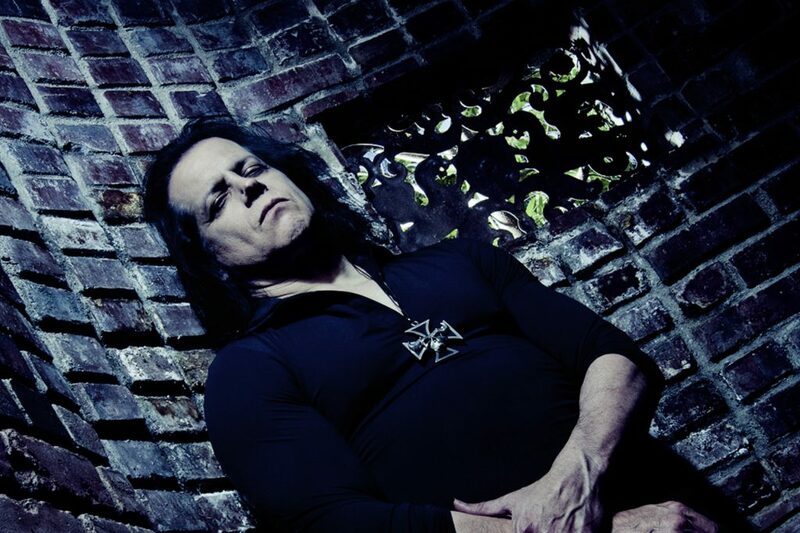 Glenn Danzig, the much loved, admired, adored and worshipped metal legend, is releasing his tenth studio album of original material, and the first since 2010. Thank goodness it took seven years and did not surface any earlier. ‘Black Laden Crown’ will unleash itself like projectile vomit on the internet, radio airwaves, record stores, car stereos, home speaker systems and through any and every other possible means of audio communication, and the album couldn’t possibly be any worse that it is, even if it attempted to be. What happens when you combine the most generic guitar riffs, the most dispensable drum fills, the most redundant bass lines, the most beaten-to-death lyrics and the weakest vocal lines, write nine songs using this combination and then present it with the worst possible production values that make a mostly out-of-key, out-of-tune lead vocal layer significantly louder than all the instrumental layers combined? You get Danzig’s ‘Black Laden Crown’. If you thought the pre-release single ‘Devil on Hwy 9’ was bad, and hoped for better output on the rest of the album, you were sadly mistaken, because the song, which you can listen to in its entirety at the bottom of this article, is in fact the best this album has to offer, and the remainder of this 46-minute effort fails to deliver in absolutely every sense. It is barely a creative effort, with these songs being laced with the most uninspired, repetitive metal song ideas known to mankind. Lift one Sabbath riff here, one Alice Cooper vocal melody there, and lo and behold, you have a full-length album. If you’d listen to the same songs presented to you in a demo CD by a random unknown local/underground band, you would dismiss it straightaway as unlistenable and throw the CD in the trash. Danzig’s ‘Black Laden Crown’ deserves the same treatment, and should not get a pass just because of the name attached to it. There are bad albums, and then there is this, the worst album of the 21st century thus far. Even though it might seem otherwise, the writer takes no pleasure in composing this review, and it would have been far more enjoyable to write a positive report on new Danzig music. But that is sadly not the case. Danzig had his moments some 25-30 years ago, which is now a long time ago. ‘Black Laden Crown’ is proof that he is out of ideas, and the album is nothing short of a disservice to diehard fans who have likely already pre-ordered it. Danzig’s newest “effort” gets a big zero, and music world would be better off without it. Do not buy it.